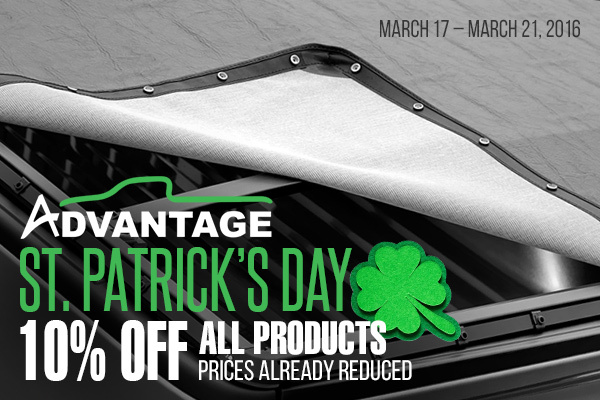 St. Patrick’s Day Sale on Tonneau Covers at CARiD - Ford F150 Forums - Ford F-Series Truck Community. Save your GREENS on St. Patrick’s Day SALE! Now is a perfect time to purchase tonneau cover from the industry leaders. BAK, UnderCover, Truxedo, Extang and Advantage offers 10% on all their covers. Become the owner of the stylish and highly functional tonneau cover! Prices are already reduced. These offers are valid through March 21, 2016. Inquire for the price quotes in the comments below!